I know its not even Thanksgiving yet, but I want to let you know about a new Christmas album you may want to consider this year. 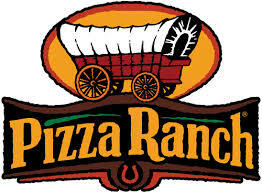 Pizza Ranch is helping to promote Mercy Me It's Christmas by the contemporary Christian band, Mercy Me. The album will be available for sale at each of the 200 Pizza Ranch locations throughout the Midwest and Great Plains states for only $5.00 plus tax. Sales begin November 1, 2015 and continue through December 31, 2015. The CD has 4 exclusive songs that can only be found on the CD version being sold by Pizza Ranch. Bard Millard from Mercy Me said, "We are so excited to debut our new Christmas album, MercyMe, It’s Christmas, with Pizza Ranch. [It is] a fantastic restaurant with a great mission to glorify God." I love Mercy Me, and I love Christmas music. So, for me, this CD is GREAT! It has upbeat, traditional AND modern music that can be a help in bringing some Christmas cheer to your home this year. When you enter below, you will have a chance at winning this exclusive CD. The giveaway ends Saturday, November 14, 2015, at 8:00 p.m. CST. One entry per mailing address. If you have won a prize from my sponsor, FlyBy Promotions, in the last 30 days, you are not eligible to win.